Gerri Peev, writing in the Daily Mail Wednesday 19th : Our reforms will roll back the Big Brother state, pledges Clegg: "It is time for a wholesale 'big bang' approach to political reform. This Government is going to transform our politics over the state." The Government ..." will be proud when British citizens stand up against illegitimate advances of the state. We will do something no government ever has: We will ask you which laws you think should go." In view of an earlier statement by Mr Clegg concerning his intolerance of 'mass medication' dare we hope at last for a glorious sunset of the practice of mass fluoridation of our water supplies? Sold to us originally with dollar-funding by the US to justify a procedural convenience in the fly-tipping of a dangerous military waste chemical, its accompanying pseudo science has become the gospel of dental health in an untested, unproven and formerly illegal travesty of medical ethics. 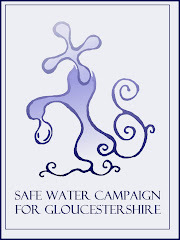 Knowing this, tens of thousands of Southampton citizens, and its councillors, voted recently against having fluoride added to its tap water supplies, but a dozen members of its Strategic Health Authority overturned the vote by deciding unanimously in favour of it; and this was the outcome of a so-called public consultation, also funded by the NHS. Would it be that they were frightened of their own status being threatened since Professor Michael Lennon of the state-funded British Fluoridation Society had said, "When all is said and done, I shall expect members to stand tall to their social responsibilities and to vote this through against the opposition..." Spoken like a war-time POW camp commandant with just about as much regard for individual human rights. The Nanny State has spoken - again! It will be interesting to see where Labour leadership candidate Andy (pro-fluoride) Burnham MP stands on this, if or when the screws go on. Member : National Pure Water Association.